Situated at 2100 feet elevation, the Dragone Vineyard is located in Calaveras County above the town of Murphy’s, California. This beautiful site is ideal for growing Spanish style verietals with moderately warm days and cool night. Tasting Notes: Our Albariño is made in a classic style with enchanting aromas of fresh spring flowers, lemon grass, ripe melon and citrus. Lively flavors of ripe peach, honeydew melon, grapefruit, and a hint of white pepper. Amazing refreshment all packed in a perky white wine with a medium body and dry finish. THE FORTANATI VINEYARD was planted by Gary Luchtel of Surh Luchtel Cellars. 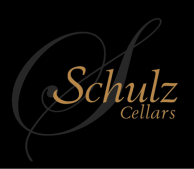 John Schulz and Gary grew up together in a small town in Iowa and through that relationship Schulz Cellars was fortunate enough to secure a contract on a 2 acre block of Syrah. The Fortunati Vineyard is situated in the heart of the Oak Knoll District of Napa Valley. Syrah has become an important part of the Oak Knoll AVA due to the ideally suited deep clay loam soils, which product wines that are rich and complex. Tasting Notes: Starts with a deep, dark rich nose of blackberries and black pepper spice with a hint of anise. The flavors lead with bright red raspberry and red currents that are carried through with solid acidity offering a long lingering finish. Tasting great now or lay it down for a few years. “SAMUEL’S CUVEE” CUVEE is a wine that expresses the true essence of the vineyard location and grape varieties chosen in any given year. The 2012 vintage is a blend of 65% Syrah, 28% Cabernet Sauvignon and 7% Graciano all coming from high elevation vineyards in Calaveras County. This wine provides the smooth rich texture of Syrah, the strength of Cabernet Sauvignon with deep rich fruit flavors of Graciano. Offering spicy aromas with black licorice, currant and plum that lead into a lush, velvety, full bodied wine that lingers on the finish. Drinks great now but will have the power to age gracefully into the future.